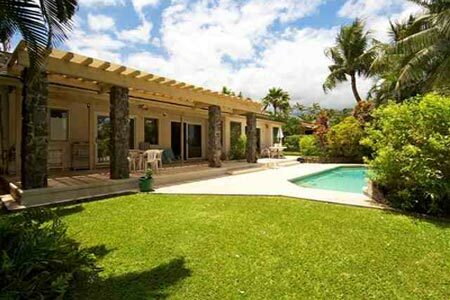 Kihei Homes for Sale - Homes for Sale in Kihei on the Island of Maui. Kihei Town is arguably one of the best places to retire or live in all of America. In Kihei the weather is consistently warm, the tropical breeze flows through here, it’s always about 85, and it rarely rains. The cost of living is comparable with many mainland cities. With more swim-able beaches than any other area in Maui, Kihei boasts an amazing array of swimming beaches from long white sand beaches with life guard towers and bbq pits to smaller more private beaches. During the high season Kihei can feel over whelming with tourist, but don’t let that fool you. Kihei Maui is a family oriented town, well suited for retirement, living solo or raising a family. Kihei has a great amount of swimable beaches that are great for exercise, snorkeling, surfing and swimming. The water is so clear you can see your feet sinking into the sandy bottom. If you are lucky, you may see a Kikakapu fish or two swim right by your feet. There are so many things to do here in Kihei aside from hanging at the beach for the day. Take the afternoon to go to brunch, a little shopping or maybe even treat yourself to a pedicure at one of the many salons around town. So take your pick, the possibilities are endless. From the top of Maui's Famous Sugar Beach down to Kamaole Beach III at the bottom of Kihei; shop the Maui MLS here for homes for sale in Kihei Maui, Hawaii. If you would like to see one or several of these Kihei luxurious homes for sale let me know. Roger Pleski - 808-344-0180 or email me at roger@hawaiilife.com. Listing courtesy of Carol Ball & Assocs.